Northeast will try to rebound after a 5 overtime loss in Week 2, but according to its coach, the looming non-league contest against Lexington will be a challenge. The Vikings, 1-1 overall on the season, were on the wrong end of a 26-20 5OT thriller on the road last week at Plattsburg. After the game, the only thing Northeast head coach Kevin Bair could tell his team was how proud he and the Vikings’ coaching staff was of the effort and sportsmanship the team displayed throughout the game. Northeast senior quarterback Angel Rodriguez was 12 of 25 passing for 231 yards and a touchdown against Plattsburg and also added a rushing touchdown. Sophomore receiver Qua'Main Jones corralled five of those passes for 88 yards and added a rushing touchdown of his own. Senior receiver Emanual Murry caught three balls for 80 yards, including a game-tying 61-yard touchdown reception with a little more than 3 minutes remaining in regulation. Bair said the focus for Friday’s game against Lexington is to get back to work in practice this week and fix the mistakes the Vikings made in the first two games. Northeast opened the season with a 20-6 win over Interscholastic League foe Afrikan Centered College Prep and sit tied atop the IL standings with a 1-0 league record. “We have left a lot of points on the football field, and we are going to need to execute this week in order to get back on the winning track,” Bair said. “Lexington is a very good team, and they play extremely fast and disciplined on both sides of the ball. In other IL news, Lincoln Prep will have a battle on its hand Friday when they hit the road for a non-league game against Oak Grove, the No. 2 ranked Class 3 team in the state. 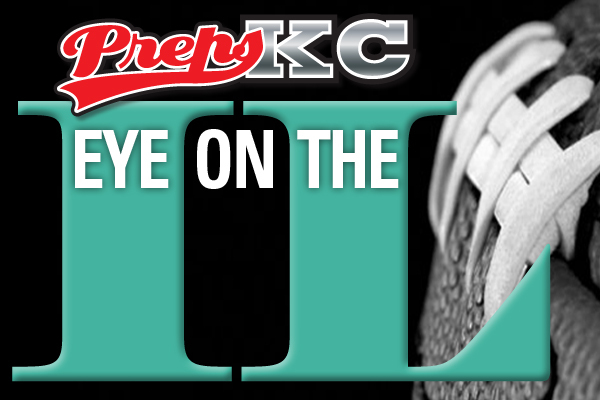 The Blue Tigers ran past Kansas City Central 57-14 after a tough, hard-fought Week 1 loss to Hogan Prep, the No. 10 ranked Class 3 team in the state. The 36-34 defeat fueled Lincoln Prep (1-1 overall and 1-0 in league play) against Central, Blue Tigers head coach Henry Newell said. “Being a veteran group, they knew the importance of bouncing back,” Newell said. Junior quarterback Harris Frazier had another good game for Lincoln Prep, going 10 of 14 through the air for 122 yards and three touchdowns against Central, and Travis Martin had several big runs from his fullback position. Returning letterwinner Kaylyn Davis, perhaps the Blue Tigers best offensive weapon, did not play against Central (0-1, 0-1), but he should be good to go against Oak Grove, Newell said. Southwest Early College Campus head coach Roger Franks was a little bit more blunt in his assessment of the Indians’ 28-20 loss to Holden. The game, played at IL Stadium, was the season-opener for Southwest. Franks’ message to his team as they prepared to take on Wentworth Thursday at IL stadium was succinct. “Every day we get better,” Franks said. IL teams Central, ACCP (0-2, 0-2) will try to get on the right track with games against Lafayette County (2-0) and University Academy (0-2) respectively. Lafayette County is ranked No. 5 in the Class 2 state poll. East (1-1, 1-0) will try to sustain momentum after doubling up ACCP last week 40-20. The Bears take on Hogan Prep (2-0) Saturday at IL Stadium.